Dapper Cleaners and Alterations – McKinney, Texas, Dry Cleaning, Laundry, Alteration, Dry Cleaners, Wedding Dress Cleaning, McKinney, Frisco, Prosper, TX and much more! We provide personalized service of the highest quality without the high prices. 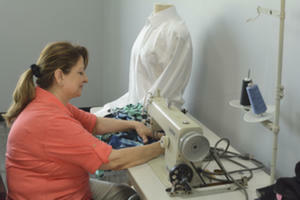 Everything we do is to achieve 100% customer satisfaction. 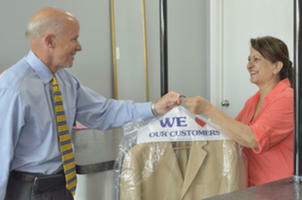 Our several decades of experience helps us to provide alteration and dry cleaner services in Mckinney, TX that are second to none. We know that there are many alteration shops and dry cleaners in Mckinney, TX, but we invite you to enjoy the Dapper difference that our personalized services can make in your busy life. We are here to serve you, and you can count on us. Dapper Cleaners and Alterations – McKinney, Texas, Dry Cleaner, Dry Cleaning, Leather Cleaning, Suede Cleaning, Household Items Cleaning, Wedding Dress Cleaning, Men’s Suit Cleaning, Coat Cleaning, Jacket Cleaning, Sweater Cleaning, Eco Friendly Solvents, Hanger Recycling, Comforter Cleaning, Linens Cleaning, Blanket Cleaning, Table Cloth Cleaning, Cleaners, Laundry, Laundering, Alterations, Replace Zippers, Clothing Tear Repair, Button Replacement, McKinney, Frisco, Prosper, TX and much more! Copyright © 2019 Dapper Cleaners And Alterations, All rights reserved.